The study, funded by the Nuffield Foundation and conducted by researchers at Oxford's Department of Education in collaboration with peers from the universities of Reading and Southampton, suggests that the current curriculum is too simplistic and 'dry' for some students. The research was motivated by a desire to address some of the persistent challenges facing MFL teaching in the UK, such as low student motivation, poor achievement and low uptake of the subject at GCSE level and beyond. This lack of interest is of particular concern in the context of Brexit, with anecdotal evidence suggesting that some students believe they no longer need to learn foreign languages 'because we are leaving the EU." Dr. Robert Woore, Associate Professor in Applied Linguistics at Oxford's Department of Education, and lead author on the study, said: "Our study shows that it is possible to raise expectations concerning the kinds of texts that beginner learners of French are able to access. We believe that including such texts in the Year 7 curriculum can be beneficial for students' linguistic and motivational development. They need not be restricted to a sole diet of the shorter, simpler and more predictable texts that are traditionally used with this age group." The team conducted a Randomised Controlled Trial (RCT), based in a diverse sample of 36 schools across the country. In each school, one Year 7 class took part. Teachers in all schools gave their students a series of challenging texts to read in French. The team created these original texts in order to spark students' interest in the target language culture, covering topics such as famous French footballers (Olivier Giroud and Paul Pogba), singers, tourist sites and the Twin Towers tightrope walker, Philippe Petit. The texts were accompanied by links to related video clips on Youtube, to encourage students to explore the topics further. The findings showed that participating teachers were surprised by how much their students enjoyed the texts and were able to tackle them, despite their challenging linguistic level. One teacher even reported that her students – when going back to the shorter, easier and more 'dry' reading exercises in their textbook – complained and asked for more interesting French reading material. One third of the teachers in the study asked their students to complete comprehension exercises based on these texts. A second group of teachers used the same texts with their students, but additionally gave them explicit instruction in reading strategies (such as inferring the meanings of unknown words and checking that their initial interpretations of the texts made sense). A third group read the texts and received explicit instruction in French phonics (the sounds of written French), to help them pronounce the texts more accurately. Overall, the three teaching programmes were received positively by both the teachers and students who took part. In particular, they enjoyed the cultural content of the texts, which they felt offered rich opportunities for developing French reading skills. All three groups made strong progress in French reading, with no one group doing significantly better than the others. The researchers believe that the challenging texts themselves fostered students' progress. However, there were also some advantages for the Phonics and Strategies groups over the Texts-only group. The Phonics group made more progress in their knowledge of the sounds of written French. Both the Strategies group and, especially, the Phonics group, also learnt more new vocabulary over the course of the study. Learners in all three groups, but especially the Strategies group, became more confident in reading challenging texts in French. The team concluded that an integrated approach to teaching French reading – combining explicit instruction in both Strategies and Phonics with the use of appropriately challenging, engaging texts – is likely to be more beneficial than any of these approaches in isolation. With Brexit posing heavy and divisive societal impact, the team are keen to promote their findings and emphasise some of the wider benefits of foreign language learning, in the hope that it will open students' hearts and minds to new cultures and other ways of viewing the world. 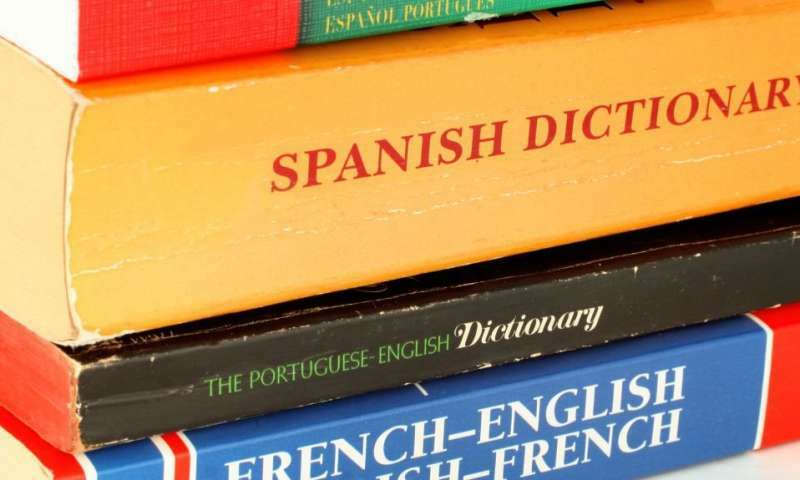 Suzanne Graham, Professor of Language and Education at the University of Reading and a co-investigator on the study said, "We know that students' enthusiasm for language learning is closely linked to their confidence in working with the language. Changing the way we teach French reading is an important step towards nurturing that confidence and enthusiasm." Dr. Alison Porter, Lecturer in Applied Linguistics in Modern Languages & Linguistics at the University of Southampton, and another co-investigator, added: "Both during and after the study we noticed how enthusiastic the teachers were about participating in classroom research and engaging with innovative and creative teaching practices. We believe that teachers should be given more time and space to develop their professional expertise in these ways."